Wexford Developments sold its interest in the ‘shovel ready’ project in July 2015. West Village Towers is located in the western part of Calgary’s Downtown core providing pedestrian access to downtown while offering unobstructed views of the Rocky Mountains and Bow River. Following the sole acquisition of the site, Wexford Developments entered into a joint venture with Cidex Group of Companies. 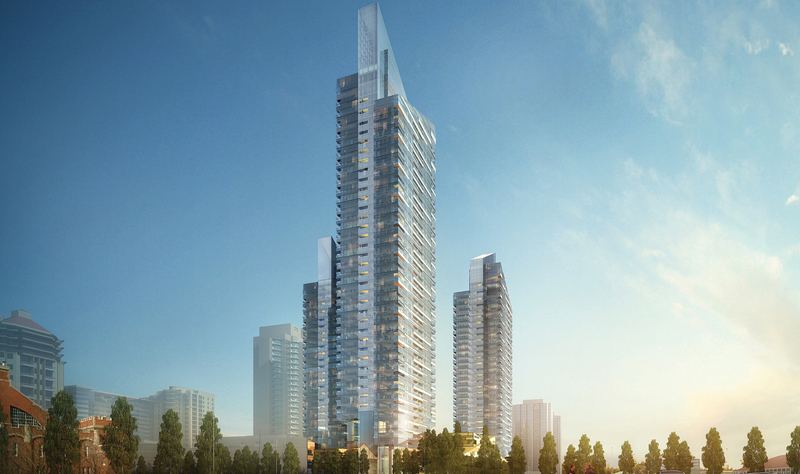 The partnership retained NORR architects’ Calgary and Dubai offices, including world-renowned architect, Yahya Jan, to design West Village Towers. The development includes three towers of residential development, totaling ~575 units, in addition to ~90,000 SF of retail and office space. The Wexford Cidex joint venture received all municipal development approvals and completed the final design along with all working drawings. Status: : Upon completion of all working drawings, municipal approvals and site preparation, Wexford Developments sold its interest in this project.